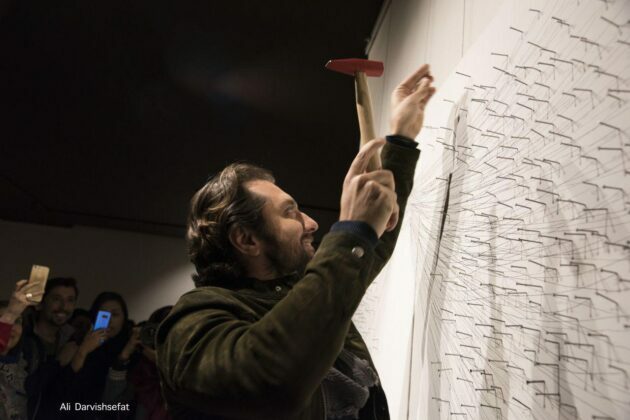 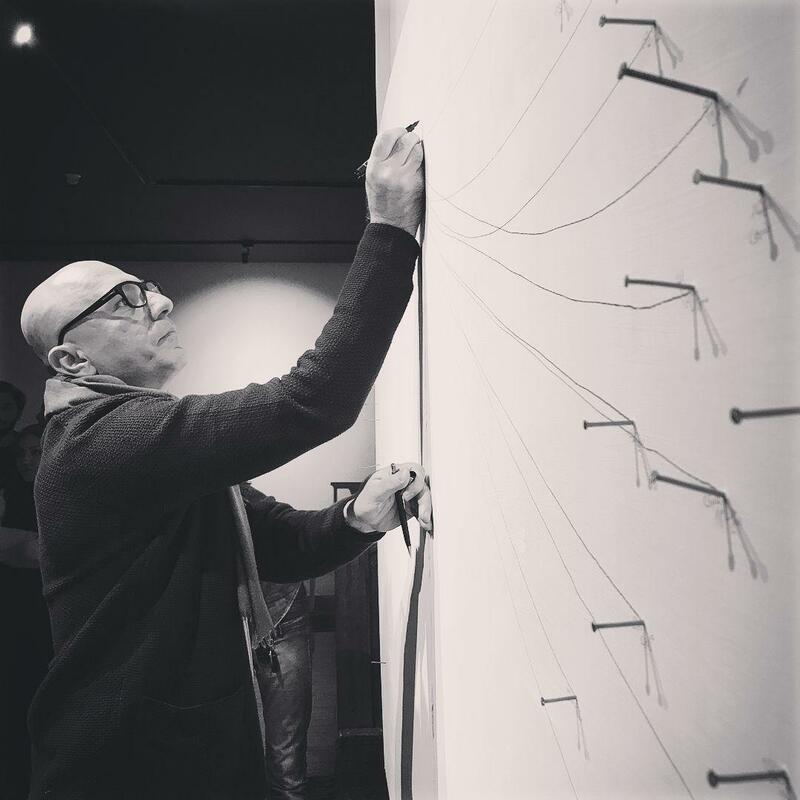 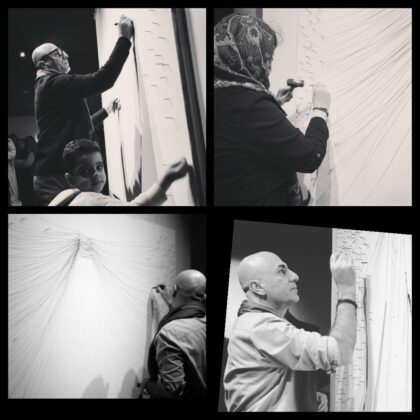 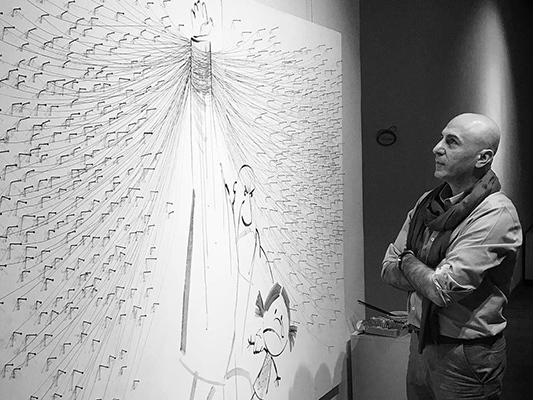 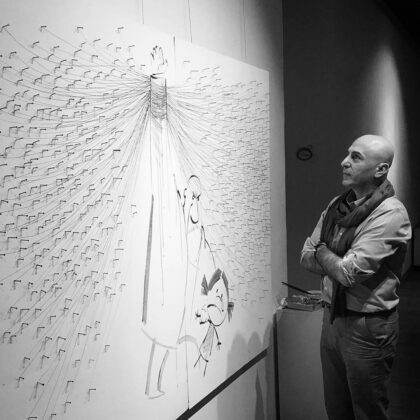 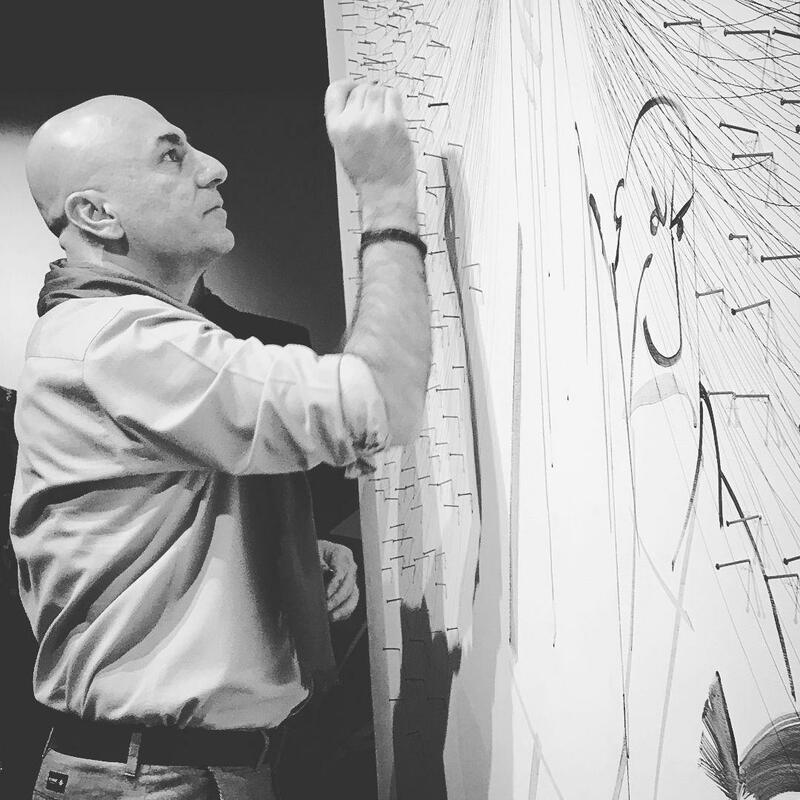 Renowned Iranian painter and cartoonist Bozorgmehr Hosseinpour has used hundreds of nails provided by his fans to create an artwork on Universal Children’s Day. 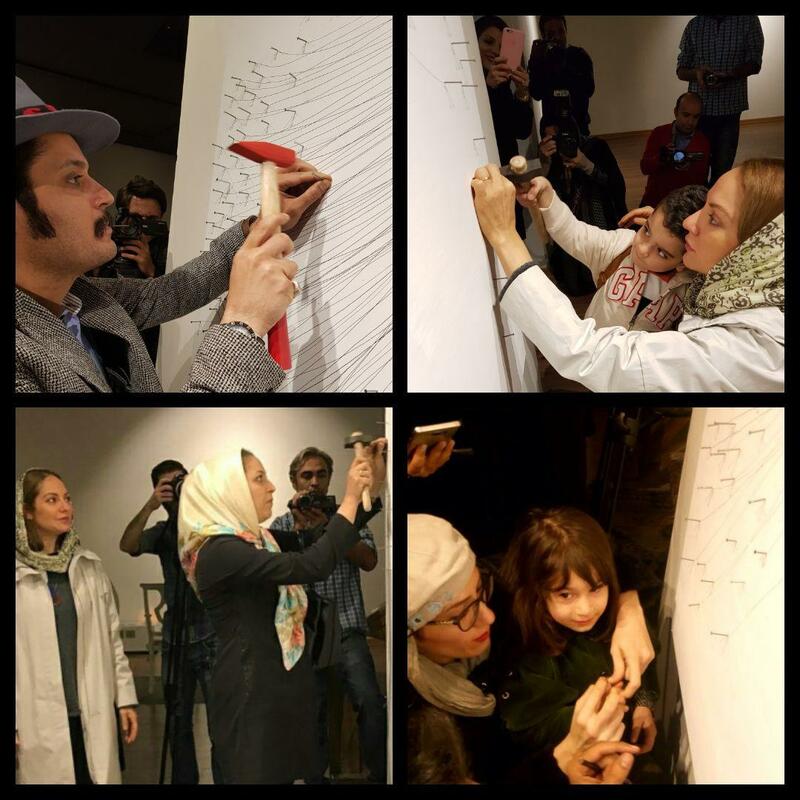 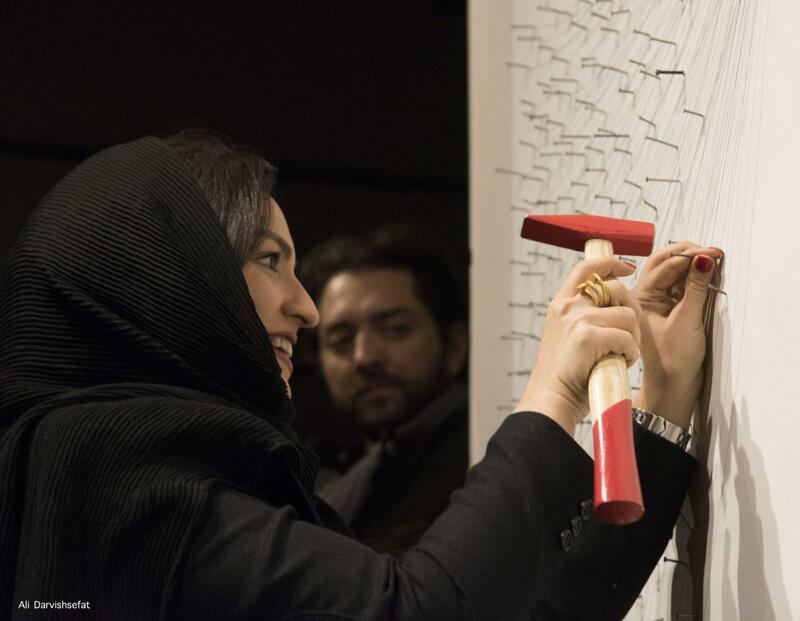 Hosseinpour had invited his fans and followers to bring him nails so that he would use them to draw a painting to mark November 20, the Universal Children’s Day. 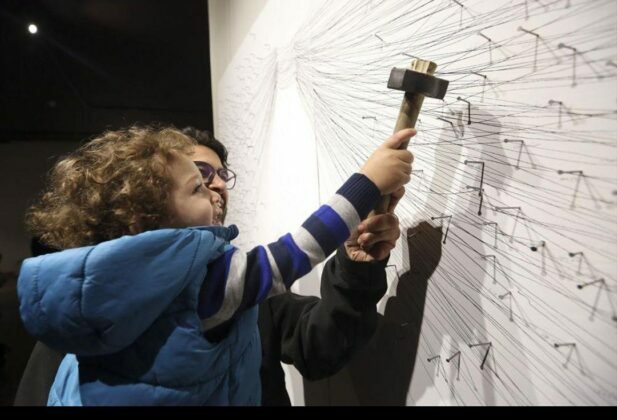 By hammering the nails provided by the audiences in the wall, he created the lines of his painting. Under each nail, the name of the person who had provided it was also written by Hosseinpour. 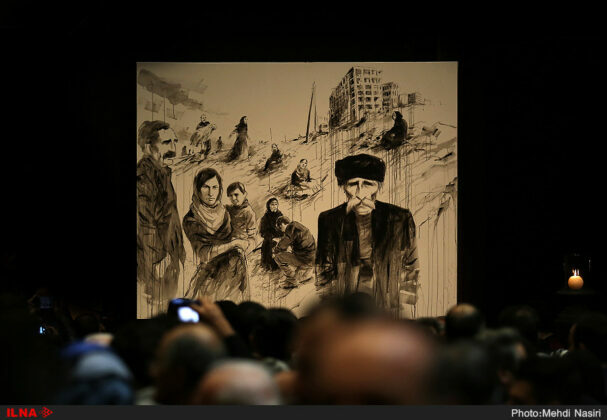 His painting was later sold to raise funds for the quake-hit people of Kermanshah Province. In 2000, the Women’s World Summit Foundation (WWSF), a non-governmental organization, launched the World Day for Prevention of Child Abuse on November 19. 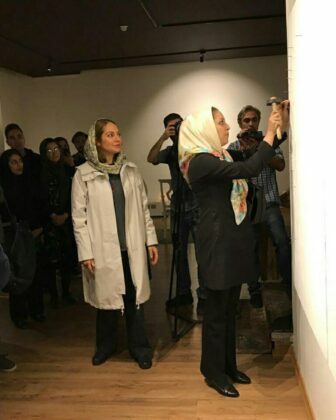 WWSF, along with an international coalition of advocacy organizations for women and children’s issues, mobilized governments and societies to take action and prevent child abuse. 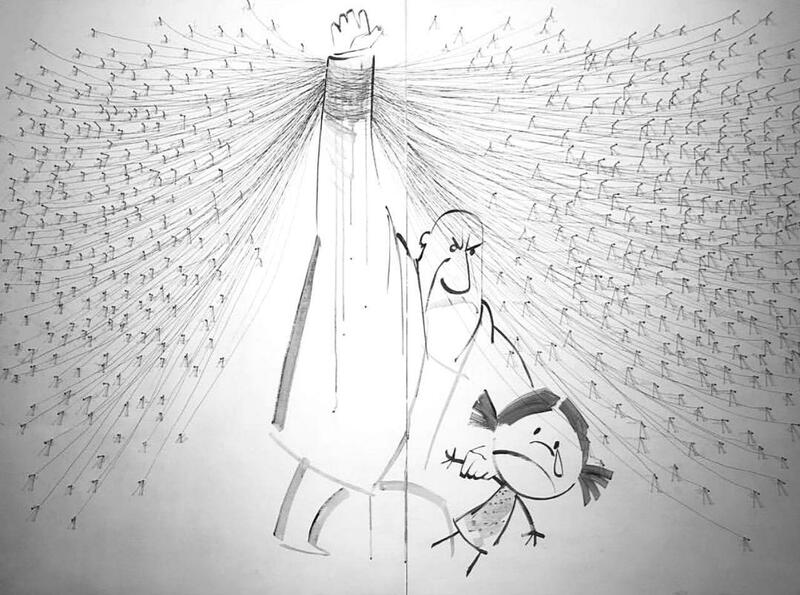 In 2001, APA, through its International Office, joined the coalition and also marked the day, November 19, as the World Day for the Prevention of Child Abuse. 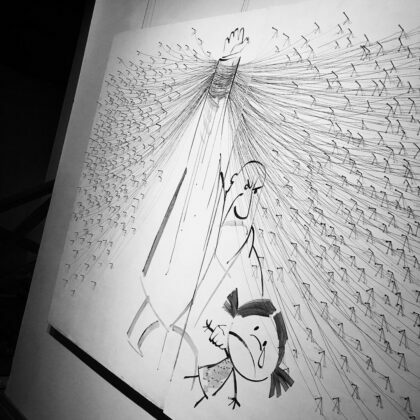 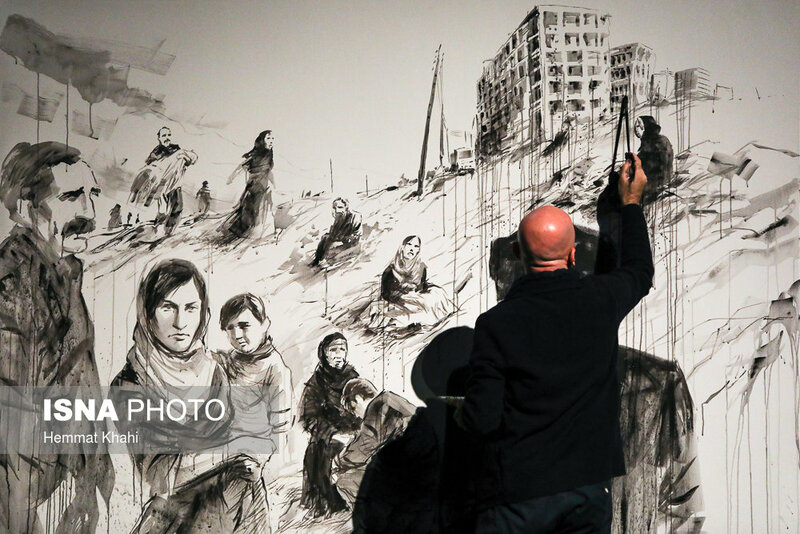 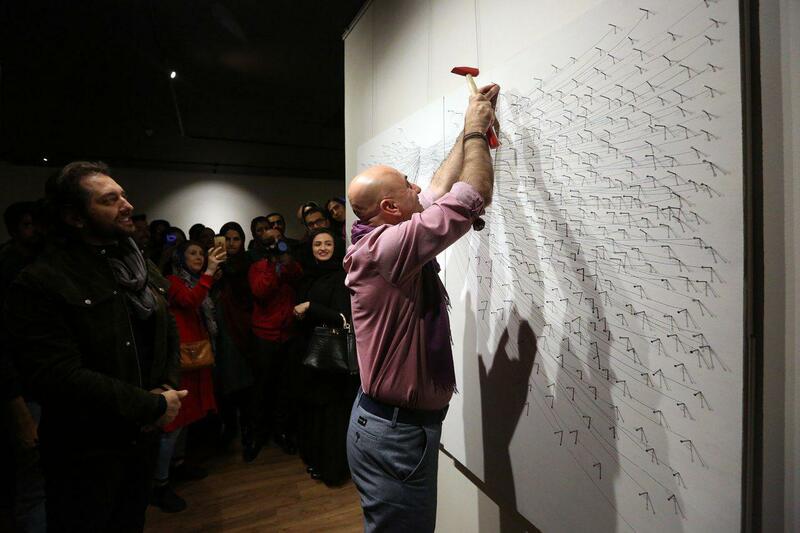 Earlier, during a charity concert by Iranian traditional singer Shahram Nazeri and Kamkars ensemble to raise funds for the quake-stricken people, Hosseinpour had also created a large drawing (2 metres by 2.5 metres), of the people in the region, on stage in an hour and a half. 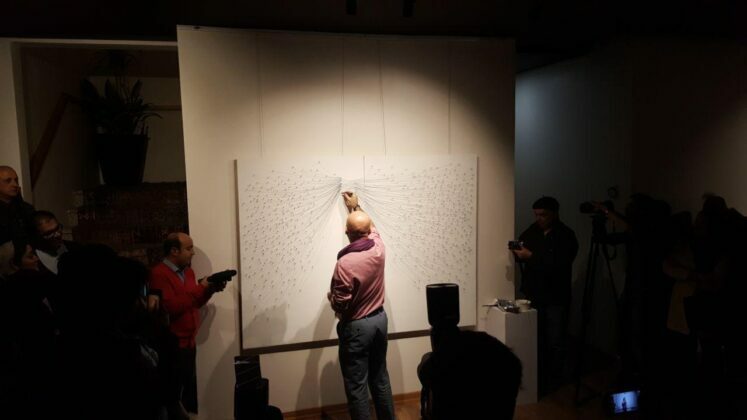 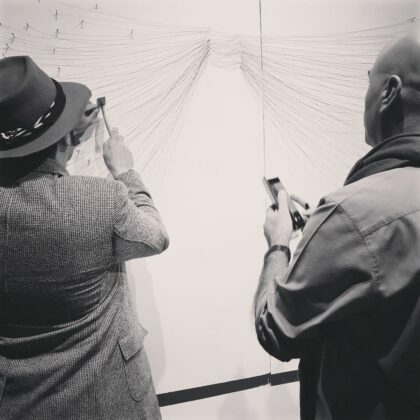 The work was sold at the auction for $6,250. All the proceeds were dedicated to the people in western Iran.